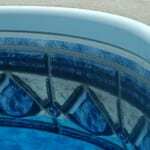 We’ve been doing pool repairs/renovations in the Hickory, NC area for several decades now. 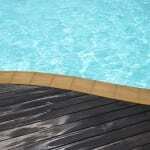 Pool Repairs/Renovations in Hickory – When something isn’t quite right with your pool, it’s hard to enjoy it. What’s more is that when there’s something you don’t love about your pool, you’re less likely to put in the time and effort to maintain it. Luckily, you have us at S & H Pools on your side to help you with all of your pool repairs & renovations. 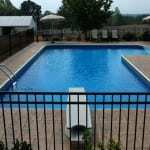 We’ve been doing pool repairs/renovations in the Hickory, North Carolina area for several decades now. Thanks to this experience, you can rest easy knowing that whether we renovate your pool or repair it, we’ll do the job right without any problem. If you aren’t sure whether it’s really time to renovate your pool, we want you to take a minute and list all of the things you’d like to change or update. For example, you might want to replace your pool liner, update the equipment, improve the decking, or add components that will help you reduce how much time you have to spend making your pool water look clean and clear. Then, contact us and we’ll guide you through the entire process, ultimately helping you make decisions that will benefit your lifestyle, budget, and swimming pool. To find out more about the pool repairs/renovations we do and why you should work with us, give us a call at S & H Pools today. As a local family owned company that genuinely cares about providing great service, we know you’ll be more than happy letting us help you out.